Regardless of whether you garden indoors or out, you should be composting. All plants benefit from compost. 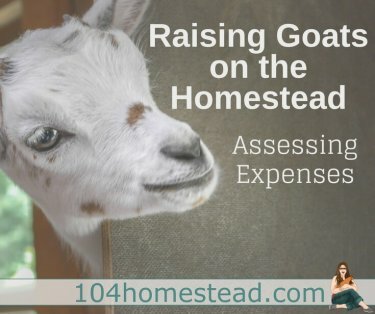 It can seem overwhelming, but I’m going to simplify the process for you. You’ve got your greens, you’ve got your browns, you’ve got your bin, and you’ve got compost. That’s all it takes. Let me help you find the right greens, browns, and bins for your composting endeavor. There are hundreds of different composting bins on the market. If you want to make a large quantity of compost and you don’t mind a little hard work, stationary composting bins are the cheapest and can even be made for free from salvaged materials. This is the type we have. It’s a two bin system made from pallets. Stationary bins require manual turning. They really just serve as a container to hold your materials so they don’t go all over the place. If you don’t want to make your own, you can purchase a pre-made bin for $50-200 depending on the size/capacity. If you are looking for a more hands-off way of making compost, a tumbling composter is a good option. They tend to have a smaller capacity for a larger price tag, but you don’t need to manually turn the pile. Merely spin the handle a few times as needed. Although they purport to speed up the process of composting, many people complain that rain sneaks into the perforations and causes a wet mess. I haven’t tried one myself. You can purchase a tumbler for $95-250 depending on the size/capacity. They do not have the capacity of a stationary bin. There are a few things to keep in mind when deciding where to put your composting bin. First, do you have neighbors? They may not appreciate the smell of your rotting organic materials right next to the property line. A well-maintained bin won’t emit much odor, but it’s wise to consider your neighbors when considering a location. Choose a location with partial sun. Direct sun in the summer will cook the contents and remove all the moisture inside the bin. Full shade in the fall and winter will slow down decomposition to the point where it won’t compost at all. Be sure to consider convenience. If your bin is hard to use, you won’t use it. Find a location that is near the garden or near the kitchen. If you can place it between the two, even better! Our bin is located at the end of the chicken coop. It’s not as close to the house as I would like, but I can easily access it from the garden. With the coop between the house and the garden there was no perfect location. Now that you know what to compost in and you know where your composter should be, let’s talk about what you can and cannot compost. I’m going to make some purists mad, but bear with me. You can compost just about anything that is natural and/or plant based. You’ll see a lot about greens and browns. Don’t let it freak you out. Everyone has an opinion about the proper ratios of green (nitrogen) and brown (carbon) materials, but I’m here to tell you that there is no perfect ratio. Every brown has a different level of carbon and every green has a different level of nitrogen. To have successful breakdown, just make sure you are adding a variety of greens and browns. If your pile just won’t warm up, it’s too heavy in browns. Add some green and turn the pile. Ant infestation is also a sign of a brown-heavy compost pile. Add greens, turn, and hose down the pile. If your pile has an ammonia smell, it’s too heavy in greens. Add some brown and turn the pile. Sometimes your pile won’t warm up because you have too many fresh greens. If you feel like you’ve got enough browns, try adding some dry greens like hair (human or animal) or dried herbs that have lost their flavor. You can also try out urine – it’s seriously a wonderful compost amendment. You’ll see in the Beautiful Browns that there is a warning against pressure treated wood. This warning applies to chemically treated wood as well. Some people warn against kiln dried wood, but I’ve used it with plenty of success. In the Glorious Greens you’ll see there is diseased plants on the list. It is important to have a very hot compost pile if you are adding diseased plants. At lower temperatures the disease can continue to thrive. You need to basically sterilize the plant with the heat of the pile. In my experience, it’s wise not to add plant life infected with powdery mildew. It is a very hardy disease that often survives composting. To get things started, your pile needs to be 3′ x 3′ in order to start the magic of breakdown. Mother Nature does the majority of the work, especially if you’re using a tumbler, but it does require some work on your part. The only exception to this is if you keep your compost bin in an area your chickens can access. You can read about why chickens and compost is like peas and carrot here. Your compost needs moisture to break down. It should be moist to the touch, but no liquid should come out when you squeeze it. If it’s too dry you can soak it down with a hose, turning it as you wet it. If the pile is too wet, you can try aerating it by jabbing in a garden fork and rotating a bit as you pull it back out. In the event you’ve had a heavy rain and the pile is just soaked, use your garden fork to pull the pile apart so it’s not as deep. This allows the air to circulate and dry it out. If you’re throwing on kitchen scraps, it’s wise to cover them with some brown material (like leaves or straw) to keep bugs down. If you’re throwing in dairy, dig a hole into the middle of the pile and cover it completely. This isn’t as important with a tumbler since they are enclosed, but it’s very important with open piles. So how long until it’s done cooking? 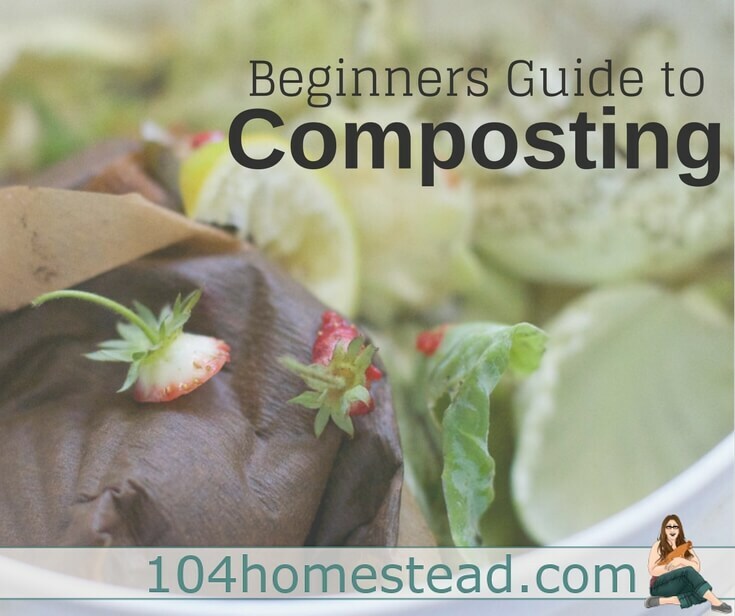 Your compost is finished when it looks, feels, and smells like rich, dark earth rather than rotting vegetables. When in doubt, give it more time. Immature compost may contain can rob nitrogen from the soil and could possibly introduce pathogens to your garden. Length of time is dependent on may variables like heat, pile size, sunlight, materials. Want to take your compost from drab to fab? Here are some other pointers. You can add worms to speed things up! They can be purchased or acquired from another part of your yard. You can add compost activator if you feel things aren’t happening fast enough. Don’t worry, they have organic options. Save leaves from autumn for spring and summer composting. But make sure to save some for leaf mold! Store your kitchen scraps in a gallon-sized baggie in the freezer so you can add it in large quantities. This will allow your pile to heat up more quickly. What composting tips would you share with someone just getting started? Share it in the comments below. Hi! Great info, thank you. My compost keeps growing volunteers. Should I stop allowing this? (It was pretty great getting some unexpected spaghetti squash!) and it keeps throwing up tomatoes and sunflowers (bird feeder is nearby). Should I pull these up? I have two sections- one is the one I currently add to and the other I was letting be so I can use it in the spring. This is the one that is growing things on its own. Can you add rhubarb leaves? My top tip for composting is to mix it up. For example, mix your kitchen scraps with shredded paper, mix the grass clippings with shredded cardboard. Most gardens have been materials available towards the end of the year and the green material at the beginning and through summer. Get creative when mixing up your compost heap especially if you don’t have a garden yet!